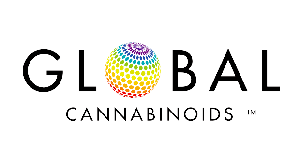 All products marketed or advertised by GlobalCannabinoids.io are tested both internally and independently for potency, purity, and consistency. We market and advertise only the highest grade legal products that are fully organic, contain no pesticides, no residual solvents, no heavy metals, and no toxic mildew or mold. All industrial hemp products we market or advertise are tested internally as well as independently by 3rd parties to confirm and maintain full accuracy and consistency of all quality control measures. All phytocannabinoid (PCR) rich products our partners produce, manufacture, or distribute, are either imported legally, or derived from 100% Federally legal industrial hemp that is registered with the Colorado, Oregon, or North Carolina State Departments of Agriculture and conform fully to the 2014 US Farm Bill section 7606 which federally legalized the cultivation of industrial hemp under certain federal mandated conditions which we fully conform to. All products our partners produce, manufacture, market, or distribute is fully compliant with nearly all 50 states, local, and international laws. Always check with your local laws before selling or distributing any products. We do not sell any products online or direct to consumer. We are exclusively a lead generator for the largest global B2B suppliers of bulk and wholesale hemp derived phytocannabinoids. FOOD AND DRUG ADMINISTRATION (FDA) DISCLOSURE: These statements have not been evaluated by the FDA and are not intended to diagnose, treat or cure any disease. Always check with your physician before starting a new botanical extract, medicinal herb, or dietary supplement program. Copyright © 2018 Global Cannabinoids. All Rights Reserved.